Among the improvements, you can now tap on multiple notes at the same time or tap and hold if you prefer. 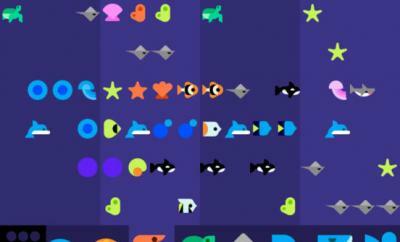 You can also choose among themes available and unlock goodies. The game does come with some lagging issues. 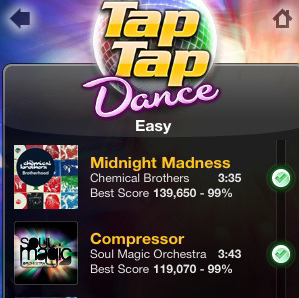 I do recommend you restart your iPhone right after downloading Tap Tap Dance. There is also an update on the way which will fix all other issues with the app. Overall, this game is a must have if you are a guitar hero junkie.